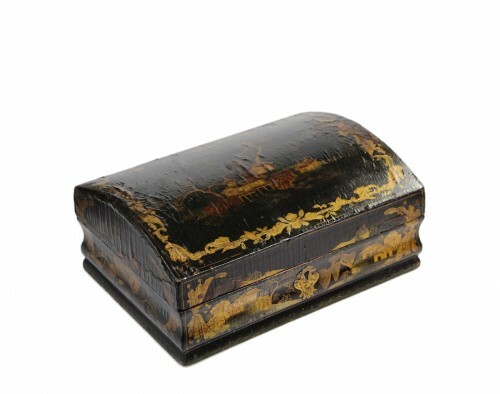 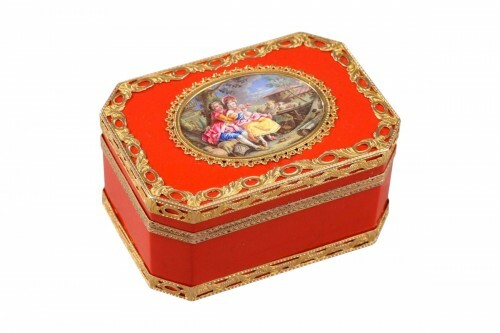 Beautiful round double bottom box in vernis Martin, decorated by polychrome and gold bands on pink background. 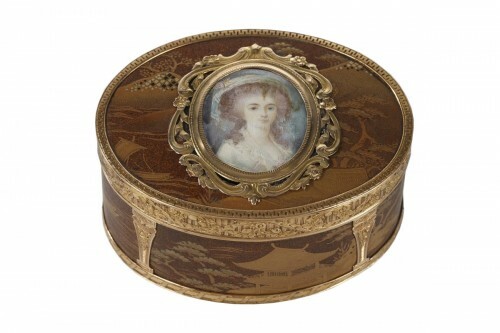 The double bottom hides a small miniature of a lady painted on ivory. 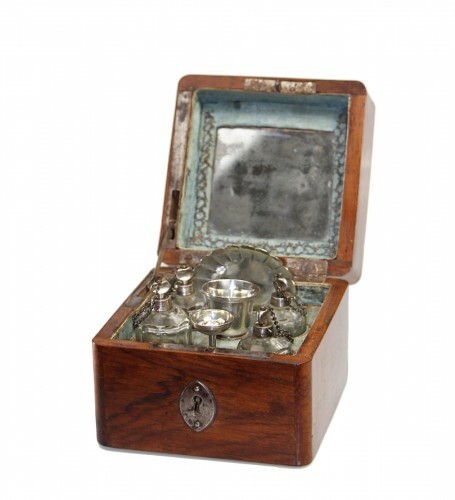 The interior of the box is in straw marquetery.